Once in a while we go to Target to pick some of our household essentials- soap, tissues, Windex- the works. I love target- They have all of my drugstore makeup and items that I like from the drugstore and for a very decent price. I like that their beauty aisles are usually very neat and everything is usually where it belongs which makes it much easier to find shades and specifics that are needed. Plus target carries some of my favorite cosmetics companies that other drugstores don't carry- e.l.f, Sonia Kashuk, no.7 etc. So I usually make a list of beauty related items that I need and pick them up when we next go. I am pretty pleased with myself this time for only getting the things I needed. It's not easy. After walking through the whole beauty section, there was so much that I could have come home with. So when we headed over to Target this past weekend to get some household supplies I of course spent lots of time in the beauty aisles, list in hand. Here are some of my cool finds. I will fully review anything I really like. 1. Garnier Skin Renew Miracle Skin Perfection BB Cream SPF 15 Light/Medium- Sadly, I am about to run out of both my Smashbox BB cream and Smashbox tinted moisturizer which have been my go to face products for the spring and summer. I have heard very mixed opinions on this Garnier one but at a fraction of the price of any other bb cream and tinted moisturizer considerations I decided I had to try this one. I will let you know what I think of it once I do. 2. Sonia Kashuk Remove Gentle Eye Makeup Remover- in the Summer months, I opt for waterproof eye makeup choices to avoid meltdowns in the heat of the day. Therefore I need to use a product that works very well but is gentle on my eyes at the same time to remove my makeup off at the end of the day. I have tried countless others that did not impress or work properly and I was certainly a little unsure on purchasing a new one. I put this to the test immediately after getting home and my first impressions are pretty good. I will put any further opinions in a review. 3. Bodycology Fresh Cucumber Melon Foaming Body Wash- I like a body wash that cleans and lathers well but most importantly it needs to smell really yummy and fresh. This one meets the mark so far. If you are in target go check out the bodycology products. They are pretty decent in price and they all smell so good. 4. Yes to Cucumbers Gentle Facial Wipes (pack of 30)- I have always used non scented baby wipes to help me in a quick makeup removal or cleaning up fallout of eye makeup during application. Many cosmetics companies sell their own versions, none of which I have liked very much. The reason that I was looking for new package of face wipes is because I have hyper pigmentation in my cheeks and not only are baby wipes just a tad too rough for me but I was also looking for some that had aloe vera in them which are supposed to help to calm redness. So when I saw these which have aloe vera in them and claimed to be gentle for the skin I decided I would try them. I don't really love them so far. My first impression is that they aren't moist enough for what I was looking for but they do the job and they smell just a bit too strongly of cucumbers. This could be just a preference type thing. I will continue using them and see if they help at all with that redness and fully review them at a later time. If I do actually feel that they help then perhaps I'll just purchase a different scent. Do you shop at the Target often? What is your favorite brand there? What is your favorite product to purchase there? Would you like win a free makeup application? 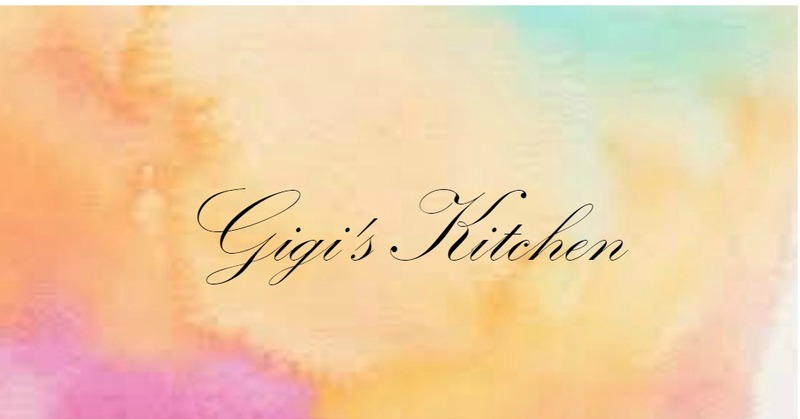 All you need to do to join the awesome giveaway is "like" my page- gigi's makeup on Facebook and you could win! Go check that out here. Thanks for stopping in and have an amazing start of your week!